When recording, use the tools you need! I’ve been working on a new instrumental for over a month now, called “Strutter.” I think I’ve probably made 50+ recordings of the song, and even though I dig the melody I’ve come up with, I’ve always thought it needed something… more… Couldn’t put my finger on it, but none of my recordings of the song were working for me completely. After I finished recording this final cut which I’ll share below, I believe a lot of my “frustration” had to do with me wanting to only use a single guitar and amp for the recording since I play this song live with only a single guitar. All guitars were recorded at bedroom level using the Aracom PRX150-Pro attenuator, with no effects. Estimated output of any of the amps was less than 1 watt! That unit is absolutely amazing!!! Small room reverb was added during production to give a more spatious effect to the lead tracks, and absolutely no EQ was applied to the guitars. This song was originally inspired by an image of a supa-mac-daddy-pimp dude struttin’ his stuff down the avenue. 🙂 At least that was the kind of vibe I wanted to capture: 70’s-style guitar-plugged-straight into the amp. It’s a raw kind of tone. From a structure/feel point of view, what I was after with this song was a contrast in textures. The Rhythm track uses the VRX22 clean channel for that snappy clean attack. For the Lead 1, I wanted use the creamy smoothness of the VRX18 combined with a single coil, and take advantage of the awesome decay of the tube rectifier. For Lead 2, there’s nothing like the pure balls-out sound of the VRX22 drive channel played with a bridge humbucker. The distortion though is ultra smooth, but very complex. I should be the Aracom Amps poster boy! I just realized that this song could be an Aracom Amps VRX amp line demo! I make no secret that these are my amps of choice (I have three of them). Jeff Aragaki’s amp designs are absolutely killer – that’s why I buy his equipment. I’ve been an avid GarageBand user for quite some time, having shied away from moving to a more sophisticated recording solution because of how easy GarageBand makes it to record the demo songs and sound clips I produce. Geez! How easy could it get? To create a sound clip, it’s as easy as opening the app, setting the song’s tempo, choosing a drum loop to play to, creating a new track to capture my guitar, and recording. Of course, GarageBand comes with its own shortcoming, not the least of which is the ability to change tempo mid-song, editing the timing and tempo of an audio region, and doing more sophisticated fader automation. For years, these shortcomings were okay for me. I was able to produce an entire album with GarageBand – even with its shortcomings. But admittedly, a lot of my best songs didn’t make it to the album because GarageBand couldn’t do things I needed for those songs; especially varying the tempo mid-song, which I’ve written into several of my pieces for dramatic effect. My wife has been bugging me for a long time to record some of her favorite pieces that I’ve written for church service. One in particular is based upon the second movement in Beethoven’s Moonlight Sonata. While that song is not structurally complex, it requires three different tempo changes. Moving from 52 bps for the intro (the original tempo), to 58 bps for the verses, then 62 bps for the refrain, back down to 58 bps, then back down to 52 for the outro. I tried recording the song in GarageBand several times, but just couldn’t get it down. Enter Logic Express 9. With its tempo and wave editing features, I can now record my songs the way they were meant to be recorded. I can’t even begin to tell you how incredible that is to me! I’ve the application less than 24 hours – and only used it for a couple of hours – but I can already tell that it’s going to be a HUGE boon to my music production. I’m really excited. I’ve already played around with the tempo changing features, but there is just so much to this application that I have yet to discover; not the least of which is the mix-down capability and throwing tracks onto different busses to apply different effects. No, it’s not a full-blown recording solution like ProTools or it’s bigger sibling Logic Pro. But for the home studio recording enthusiast like myself, it has everything I need to create great recordings. At $199, it’s a real bargain. Besides that, if I ever need to upgrade to the Pro version, it’s a $99 upgrade. Not bad. Not bad at all. 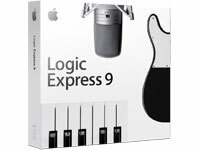 If you’re currently using GarageBand, and want to expand your recording capabilities, I highly recommend Logic Express! I will say this: it’s not a simple slam-dunk to move from GarageBand to Logic Express. Yes, there are similarities, but the mix-down and mastering stuff that GarageBand does for you by default you now have to do yourself. However, one thing I tried was creating a project in GarageBand, applying mastering, then importing the song into Logic Express. Lo and behold, the Master got imported with all the buss settings – which you then can edit. Nice. For more information on the feature set, please visit the Logic Express site! I'm running a poll to find out how much gear GuitarGear.org visitors have. I'll keep this post up for awhile so we can get some stats. A friend of mine – actually by association through my wife who grew up in the same court – writes an awesome blog about the culture and history of candy in America, called the CandyProfessor.com. She told me about it today while she was visiting with us, and being a bit of a sweet freak as well as a gear freak, I was really intrigued by what she calls “her little project.” I spent a couple of hours reading through her posts, and I have to say, Wow! What a perspective! Given the time of the year, it’s natural to think of sweets, and what better way to think about sweets but reading about them in a blog! Ha! But mind you, the author, Samira Kawash, is no amateur. She is a real professor (hence the site’s name) who just recently left her tenured job with a university to write full time, and CandyProfessor.com is part of her writing process! Love it! Check it out! It’s really refreshing reading! Like many gear sluts, I’ve got several guitars and each guitar, no matter how much I’ve spent on it, has its own little quirk or quirks. One might not have much natural sustain, another might have tiny frets, yet another may have wide neck profile. But no matter the quirk, in the end, if I can work through a guitar’s particular quirk or quirks, it’s the sound that comes out of my amp that counts. But the cool thing that I’ve found is that these very quirks have also served to help me become a better guitar player. Mind you, these aren’t flaws in the gear. They’re simply, well, quirks that make either consciously or sub-consciously make me compensate for a particular quirk in some way. For instance, my Squier Classic Vibe Tele has pretty little frets, making vibrato a challenge; especially the violin type of rolling vibrato. But what it has taught me is to get much better at bending vibrato to coax sustaining tones out of that guitar. The net result is if I take the time to make a note sing, I’m rewarded with this beautiful bloom as the string vibrations resonate through its pine body. The reward of that is priceless, and what I’ve found while playing that guitar is that I actually try to play slower and express whatever idea I’ve got in as few notes as possible. That has affected my entire playing style. Building on that, the other night I played guitar in the band at my kids’ school’s Christmas pageant. This is a cool production in that unlike most pageants, it’s presented as a theatrical production, replete with story line. The various classes then sing a song as part of a scene of the play. For the first time, the show was done with a simple rock combo in addition to the standard keyboard to fill up the music. And even cooler was the fact that this particular production had very rock and roll flavor. I originally rehearsed the play with my Tele, but I wasn’t satisfied with the overall drive sound, so I switched to my LP copy, a Prestige Guitars Heritage Elite. Remember I mentioned my Tele forcing me to get better at bending vibrato, well, from repeatedly practicing that on my Tele, once I picked up my Heritage Elite, it was game over! I really felt my expressiveness go through the roof! Now that guitar just sustains forever, but add some technique, and I couldn’t believe how good that guitar sounded! It was as if I was playing a completely different guitar. The same kind of thing goes for Goldie. Now she has jumbo frets that are both wide and tall, so that it takes a minimal amount of pressure to articulate a note. What that guitar has taught me is to relax my left hand. The net result is that I’m much quicker over the strings. But that lightness of touch has extended to my other guitars as well. So the net of all this is that quirks in your gear aren’t necessarily bad, and oftentimes can help you improve your playing. There’s an unspoken battle raging on The Gear Page forum about which is the best “popular” attenuator on the market. Yeah, everyone claims theirs is the most transparent, and frankly, that’s true for very low levels of attenuation. But for really cranking down on the volume, my money, of course, is on the Aracom PRX150-Pro. To me, not only is it the most transparent attenuator based upon head-to-head comparisons of some of the popular attenuators done by me and others, and also being the safest with its input AND output impedance matching, it is also the most cost-effective attenuator out there. Don’t believe it? Well, the numbers don’t lie. When you consider the versatility of input/output impedance selections vs. cost of the unit that the PRX150-Pro offers, it’s simply no contest. Let’s have a look at the numbers shall we? Clearly, based upon the number of impedance matching selections, the PRX150-Pro is the clear winner in terms of value. Even if the Aracom unit only had three impedance matching selections, it still will have 9 different available input/output impedance selection combinations, and each combination would only cost $72.11; still far below the competition! Furthermore, let’s say the PRX150-Pro didn’t have output impedance matching, reducing its impedance matching combinations to 4. It still outperforms the competition in terms of value at $162.25 per selection! Let’s compare the PRX150-Pro with the Alex’s attenuator for example. People love the Alex’s attenuator, and I understand it works great. But you have to get 4 of those units to match the impedance matching capabilities of the PRX150-Pro. In absolute cost terms, yes, the PRX150-Pro costs more. But with respect to value, well, you can’t hide from the numbers. The same thing applies to the THD HotPlate (though I have other reasons not to like this product). As for the Faustine Phantom, it has more versatility than the Alex’s by far, but it’s also very expensive, and it is unclear whether or not you’ll get one in a timely fashion. Some people have been waiting for theirs for several months. Sometimes you have to spend more to get much more, and in the case of the Aracom PRX150-Pro, you’re getting A LOT more! Disclaimer: I will say this again that I am not an employee of Aracom – I’m a faithful customer because of the superior product Jeff produces. It seems I’m seeing another trend, though not quite as profound as I saw with overdrives, and that is the emergence of fuzz pedals. And like overdrives, fuzz pedals seem to come in different varieties. The most basic is the original FuzzFace design which uses two transistors to create a bunch of gain so that practically everything that goes into it gets converted to a square wave. 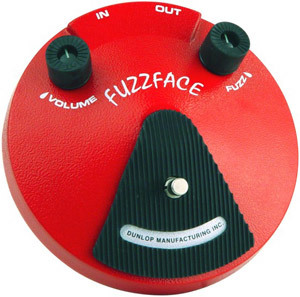 After that, you get pedals like the Zvex Fuzz Factory that gives you control over various aspects of the fuzz tone. Personally, I haven’t spent that much time with fuzz pedals. It’s not that I don’t like the sound; I do, it’s just that my playing style really hasn’t leaned towards a “fuzzy” type of sound. For those unfamiliar with the fuzz tone, here’s a good demo. Overdrive – First is overdrive. This can be used as either a verb or noun, but from a sonic standpoint, overdrive produces the gentlest type of distortion, commonly known as soft clipping. Overdrive and booster pedals produce this type of sound. Using “overdrive” as a verb, it commonly means to overpower the pre-amp tubes of an tube amp, though technically it’s simply overpowering the input. Overdrive pedals simulate this with clipping diodes so you can get that overdriven sound at lower volumes. Overdive pedals include: Tube Screamer, Bad Monkey, OCD, Holy Fire, Swollen Pickle, etc. Distortion – Here we get into a bit of a grey area because technically, any pedal that uses a transistor to clip or distort a signal is a distortion pedal, so the Tube Screamer and OCD fall into this realm. But many distortion pedals such as the TS also add signal gain, so they also overdrive the front-end of the amp. The big difference between Tube Screamer types and dedicated distortion pedals is in the type of clipping they produce. Distortion pedals produce a harder clipping of the input signal in their transistors at any volume level. Distortion pedals include: DS-1, Metal Zone, Holy Fire, Rat, Saturator, etc. Fuzz – Fuzz is square wave distortion produced by a couple of cascading transistors that amplify the input gain so much that it produces a square wave when looked at in an oscilloscope. The tone of the fuzz typically has a lot of bass, and tons of odd-order harmonics. It’s ugly, but in a good way, and applied properly, can produce some spectacular tones. Jimi and SRV were masters of the fuzz. Note that I didn’t want to get too technical here mainly because the technology is less important than the tone. As in all things, you need to hear and play them for yourself to see what you like. By the way, I found a great wiki article on distortion, which goes into a more technical discussion if you’re interested. Check it out!